Well, (knock on wood) 2013 is off to a fabulous start thanks to a remarkable hand-off in the final stretches from 2012. 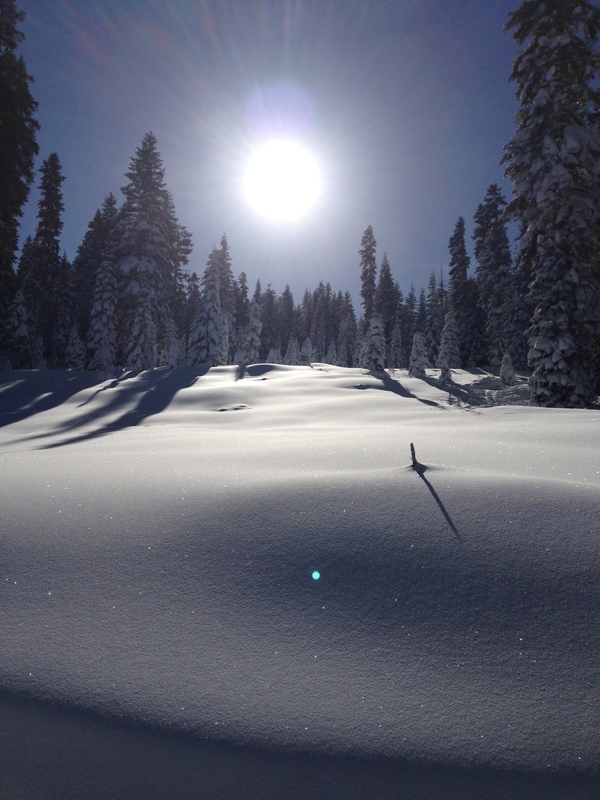 The six weeks of wet, cold storms in December covered the Sierra Nevadas with a brilliant blanket of snow. We water sport enthusiasts are delighted to be skiing on that snow today and, before you know it, we’ll be rafting on it. Now my mother says not to count your chickens before they hatch but, a wee winter storm update couldn’t hurt, right? According to blogger Bryan Allegretto of The Tahoe Daily Snow we have already received 55% of the seasonal average and we have a lot of winter ahead (not to mention we got several inches last night). Below average temperatures and intermittent snow are keeping conditions ideal in the mountains. The California Department of Water Resources reports that the Folsom, New Melones, and Don Pedro reservoirs are at or above 100% of historical averages. This means that upstream reservoirs on rivers like the South and Middle Forks of the American, the Tuolumne, and the North Stanislaus are likely to be full and ready to spill in the Spring. At this point we are looking at similar conditions to 2010 (yes, my fingers are crossed). So, if you were wondering if you should take advantage of our Pre-Season Sale, I think the answer is clear. But, wait! Maybe you don’t know when you want to raft. Maybe you don’t know where you want to raft. Eh, no worries… with the Pre-Season Sale you can purchase a certificate in January, get 25% more for money and use it like a credit toward the AO trip you choose. This is the best promotion we do all year because it allows you to save some of those hard-earned dollars and raft on your own schedule. Remember, the sale ends at 5pm on January 31st. After that, new 2013 rates go into effect. Carpe Diem or forever hold your peace.